KUALA LUMPUR: YTL Land & Development Bhd is launching phase three of its Lake Fields project in Sungei Besi soon and expects take-up to be overwhelming. Called Grove, it comprises 102 units of three-storey semi-detached homes worth about RM220 million, or about RM2 million each. 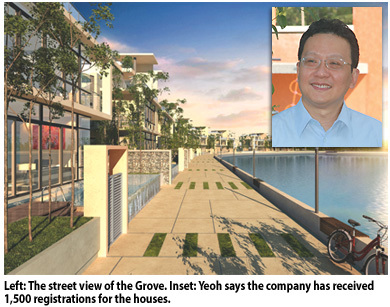 YTL Land executive director Datuk Yeoh Seok Kian said it has received about 1,500 registrations for Grove, mostly repeat buyers and upgraders from matured neighbourhoods such as Desa Petaling, Taman Desa, Kuchai Lama and OUG. "We expect Grove to replicate the success of our phase one and phase two launches at Lake Fields," he said. The first phase, known as Meadows & Glades, launched in 2005, was snapped up overnight. All 514 units of the three-storey homes sold at more than RM380,000 per unit. The second phase known as Dale sold out in four days. It comprises three-storey semi-detached homes and the prices range from RM638,800 to RM1.33 million. Yeoh said Dale has not only set a new price standard for Sungei Besi homes but also demonstrated the area's potential as Kuala Lumpur's next property hot spot. "People still want to live in Kuala Lumpur but there is scarcity of land and pressure on land price, making homes more expensive," Yeoh told Business Times in an interview. "Sungei Besi holds much potential as the next "new thriving address" in Kuala Lumpur due to its strategic location. It is well connected and is easily accessible via numerous highways and railways, which are reasons why the project has become a success," he said. Lake Fields, a joint-venture by YTL Land via Syarikat Pembinaan Yeoh Tiong Lay and the Employees Provident Fund, launched in 2005, spans across 74ha. Its centrepiece is a 6ha lake. Grove features large built-up homes of more than 4,354 sq ft with breezy interiors, floor-to-ceiling windows and stunning view of the lake. Each residence comes with a private pool and a rooftop garden in selected units. Yeoh said the redevelopment of the Sg Besi Royal Malaysian Air Force (RMAF) air base is another positive factor. The government is redeveloping the 162ha into an integrated commercial hub and it is expected to be the catalyst for the growth of the southern part of the Klang Valley and would further raise the profile of Sungei Besi significantly. KUALA LUMPUR: Syarikat Perumahan Negara Bhd (SPNB), a wholly owned unit of the Minister of Finance Inc (MoF Inc), aims to achieve a total development value of RM2.8bil by 2016, if all the affordable housing units it plans to build are completed on schedule. 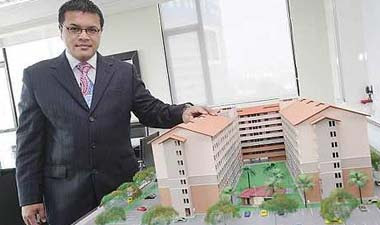 Kamarul: SPNB will complete 36,095 affordable houses by 2013. Managing director Datuk Kamarul Rashdan Salleh said SPNB would be able to complete 36,095 affordable houses by 2013, of which 16,423 units have been sold. He said the number of units to be completed over the next three years would still fall short of the target set under the Ninth Malaysia Plan (2005 to 2010) of completing 70,000 units. Since venturing into building affordable housing in 2003, SPNB has of May 3 1, only completed 26 projects totalling 14,740 units for a development value of RM196mil. The projects are located in Kedah, Perak, Pahang, Selangor, Malacca, Negri Sembilan, Johor, Sabah and Sarawak. Another 21,355 units involving 28 projects are under various stages of construction. Of this, 17 projects comprising 14,575 units will be built in Sabah. Most of the houses are priced below RM220,000. Kamarul said funding had always been the main issue when it comes to building affordable housing. “If there is more government allocation, we will be able to build more houses,” he said, adding that RM200mil had been set aside for SPNB this year. Kamarul said SPNB would be building 2,500 houses for the poor this year. Most of these units will be constructed in Kelantan, Terengganu and Pahang. Over 30,000 people in various states have applied for the SPNB homes. Kamarul, who joined SPNB in 2009, said there was also the issue of getting the right parcels of land for development. So far, all the land for its affordable housing projects were provided by landowners who are SPNB's joint venture partners in the schemes. “If we opt to build the projects in more centrally located areas, we may need to acquire the land which could pose a funding issue to SPNB,” Kamarul explained. Given the fund constraint, he said SPNB would need to establish joint ventures with landowners or contractors to undertake the projects. In the last three to four years, SPNB has awarded contracts worth more than RM1.5bil to contractors to build low- to medium-cost houses, in anticipation of demand for its properties. The joint venture with the contractors hit a snag when some projects were not completed on schedule and the works were shoddy. Since 2000, 140 contractors had been blacklisted by SPNB for failing to deliver on their housing projects. To address the problem, he said SPNB had, from this year, stipulated that contractors would be appointed based on merit to ensure that they deliver on their contract terms. Kamarul said SPNB's role as the provider of affordable housing would also move up the value chain as it would also focus on housing products that are priced up to RM300,000. “These higher priced units will complement the efforts of the developers and the various state development agencies in building more such homes in view of the rising demand," he said. PETALING JAYA: Banks, especially those with regional operations, are fighting for a larger share in the financing of foreign properties fuelled by the strength of the local currency and weaker property markets overseas. The stronger ringgit, according to industry observers, has led investors to scout for cheaper properties in Britain, Australia, Singapore and in the United States to diversify their investment portfolio. Judging from the rising number of advertisements for the sale of foreign properties in local dailies, industry observers foresee a good prospect for banks' foreign property portfolio and improvement in margins. RAM Holdings group chief economist Dr Yeah Kim Leng said: “We do see growing interest among selected Malaysian banks to extend loans for foreign property purchases in line with overseas investment opportunities presented to local investors, especially in countries where the property markets have hit the bottom or poised for an upturn. “Overseas lending opportunities are likely to be selective depending on demand by Malaysian firms and high net worth individuals as well as the strategies, risk appetite and credit assessment capabilities of individual banks. As banks apply risk-based pricing, Yeah said they may be able to enhance margins to commensurate with a higher risk level when assessing for overseas properties. Malaysian Rating Corp Bhd chief economist Nor Zahidi Alias said the appreciation of the ringgit dramatically against the greenback and other currencies such as the sterling pound over the past one year has induced investors to diversify their investments to include purchasing properties overseas. Although it has somewhat retraced from its highest level of RM2.95 against the US dollar, he said the prospect of the ringgit was still favourable judging by the US Federal Reserves' pledge to maintain its accommodative monetary stance at its last meeting and the positive growth momentum of the Malaysian economy. As such, Zahidi added investing in properties overseas would likely enhance investors' returns through foreign exchange gains. Another critical factor that had spurred investors to invest in other countries was the significant decline in property prices, he noted. In the US, for instance, home prices in 20 major cities have fallen 30% from their peak. According to Case-Shiller/S&P, the producer of the gauge, real housing prices in the US had plunged to levels not seen since the 1890s (when adjusted for inflation) in 11 of the 20 markets surveyed. The fact that the index has been in negative territory in the past five months since November last year signalled that investors have the opportunity to purchase properties at low prices, he said. Similarly in Britain, he said although home prices were just 13% off their peak in 2007, they were more affordable compared with three years ago, adding that this was a great opportunity for long-term investments. Zahidi said stiff competition would also keep driving banks to look for creative ways to improve their bottom lines, as long as they did not breach Bank Negara's guidelines and regulations. As such, he added it was not surprising that Malaysian banks are seeking alternative avenues to increase their loan gr owth. The Government at the same time does not discourage its residents from investing abroad as this could help to stabilise the liquidity condition in the financial system given there was no let up in the capital inflows. This is seen from the rise in the Malaysia's international reserve assets which currently stood at RM402.6bil as of June 15, closer to its previous high of RM410.9bil achieved in June 2008. In response to a query, Malayan Banking Bhd (Maybank) via the Association of Banks in Malaysia (ABM) in a statement said it currently only offered financing for properties in certain areas of London but has plans to look at Australia. An international bank operating in Malaysia said it offerred financing for properties in Singapore, Hong Kong, China, Australia and Britain. For banks that provide financing for overseas properties, the lending could be in local and foreign currency. Whereas, financing in pound is extended to Malaysians for buy-to-let purposes only and entails monthly repayments in that currency, Maybank said. OCBC Bank (M ) Bhd is now offering a mortgage loan facility to finance the purchase of residential properties in prime sections of central London. OCBC Bank head of consumer financial services Charles Sik said the introduction of the OCBC Overseas Property Financing facility was timely as customers would be able to take advantage of the ringgit-based loan, hence mitigating the effects of fluctuating foreign exchange risks. Meanwhile, the bank's head of secured lending Thoo Mee Ling said the interest rate offered was comparable to the domestic home loans even though the collateral was in foreign market. 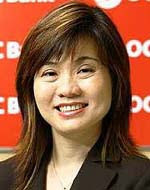 She said OCBC Bank was currently looking at a few more viable markets for foreign property financing. KUALA LUMPUR: YTL Land & Development Bhd will continue to rejuvenate old thriving townships and create modern integrated developments to lure local and foreign investors. The company has a strong track record in urban rejuvenation, having undertaken projects in areas where other developers had avoided in the past, such as Pantai Dalam, Puchong, Sungai Besi and Sentul in the Klang Valley. YTL Land, which has a market capitalisation of about RM1.4 billion and known for conceptualising Bukit Bintang, has spent a few billion ringgit to transform these areas into sought-after locations today. It started with Pantai Hillpark, a "kampung" area about a decade ago, building condominiums with Spanish design and using metal instead of wood for some of the roof trusses. YTL Land later unveiled its masterplan to redevelop Sentul Raya, a multi-billion ringgit project, which stalled during the 1997/98 Asian financial crisis. As the 117 hectare site is divided by the Sentul KTM Komuter station and tracks, the concept of the masterplan characterises the two halves differently, thereby forming Sentul West and Sentul East. Sentul East (43ha) showcases the Malaysian flavours and Sentul West (74ha) has exclusive residences, lakes and a private park. The project, started in 2002, is the first private gated park in Kuala Lumpur and it would generate an estimated RM8 billion in sales, once completed. YTL Land then embarked on another project in Puchong called the Lake Edge, making use of the existing natural attributes of the location, which includes the disused mining lake. Following this, it launched Lake Fields in Sungei Besi, its fourth project in the Klang Valley. YTL Land has used the surroundings of the ex-mining lake to create a successful residential enclave comprising bungalows, semi-detached homes and luxury terraced houses. "Today, all these projects are thriving communities. New launches are fast selling. When we launched The Capers at Sentul East, it sold like hot cakes in two hours," YTL Land executive director Datuk Yeoh Seok Kian claimed. Yeoh told Business Times that YTL Land is looking for more land to buy or develop jointly with private owners in the same areas. The company is also eyeing urban renewal projects. YTL Land currently has a land bank (with no holding costs) of over 800ha with a sales value of about RM12 billion. Parent company, YTL Corp Bhd, is injecting prime land in Kuala Lumpur (KLCC-Bukit Bintang, KL Sentral) and Singapore (Sentosa Cove, Westwood Apartments in Orchard Road) into YTL Land for RM476 million (to be satisfied by cash and irredeemable convertible unsecured loan stocks). Upon completion, YTL will transform into a regional player with track record in high-end residential and a bigger balance sheet. Lembaga Tabung Haji, a pilgrimage fund that manages some RM28 billion, wants properties to account for a quarter of its investments, from 15 per cent now. Kuala Lumpur: Lembaga Tabung Haji, a pilgrimage fund that manages some RM28 billion, plans to invest more in property to grow its recurring income base. It wants properties to account for a quarter of its investments, from 15 per cent now. Its properties are mainly in Malaysia and Saudi Arabia. Group managing director and chief executive officer Datuk Ismee Ismail said Tabung Haji already has properties in Mecca and Madina and is eyeing more in Jeddah, which are all in Saudi Arabia. "In Jeddah, the projects can be owned by us or via joint ventures unlike in Mecca and Madina where we are not allowed to own property but allowed to lease," Ismee told Business Times recently on the sidelines of the GLC (government-linked companies) Open Day media briefing. Tabung Haji is reallocating its funds in line with current market conditions. "We always review our asset allocation because the market is always changing. The share market, for example, can be very vibrant but when it is cool we invest in other instruments," he said. It wants to invest more in Mecca and Madinah as well as in Europe over the next one to two years. Tabung Haji currently earns a recurring income from its 25-year lease of the Hajar Towers Hotel in Mecca and the 10-year lease of the Moven Pick Hotel in Madinah, both in Saudi Arabia. Ismee said the group has been seriously looking at investment opportunities in Saudi Arabia since 2008. Apart from haj management of 26,000 Malaysian pilgrims every year, Tabung Haji also manages some RM28 billion of savings from some 5.8 million Muslim depositors in the country. Besides investing in the the stock market and properties, the pilgrims fund also has operations in plantations, travel, construction and owns stakes in KFC Holdings (Malaysia) Bhd, shoemaker Bata, consumer goods giant Unilever, breadmaker Silver Birds Group Bhd and other listed and non-listed companies. TALAM Corp Bhd, once the country's largest builder of low- and medium- cost houses, has unfortunately been making headlines for the wrong reasons. Recently, the company reported a net loss of RM25.97mil for its first quarter ended April 30, 2011 versus a net profit of RM1.57mil in the previous corresponding period, mainly attributable to lower progress billings generated from the development projects during the quarter under review. Revenue for the period plunged 43% to RM13.18mil from RM23.26mil a year earlier. Talam slipped into PN17 on Sept 1, 2006, after its auditors failed to provide an opinion on its results for the financial year ended Jan 31, 2006. The company had also defaulted on term loans and bond obligations. Its debt-restructuring exercise involves three parts a capital reduction and a share split, the issuance of new convertible instruments to address certain defaulted debts, and a proposed asset divestment programme. According to reports, most of the debts stemmed from joint ventures on land belonging to state agencies, such as subsidiaries of Kumpulan Hartanah Selangor Bhd, Permodalan Negeri Selangor Bhd and Pendidikan YS Sdn Bhd. However, over the years, Talam had been striving to reduce its gearing level. In the first half of 2010, Talam entered principal and supplementary agreements respectively with Menteri Besar Selangor (Inc) (MBI) to dispose of RM676.09mil worth of properties in settlement, principally of RM391.99mil due to MBI and RM266.26mil due to lenders. On a good note, in June 2010, Bursa Malaysia also approved Talam's application to be uplifted from PN17 classification. As at April 30, 2011, the company's borrowings and debt securities stood at RM695.57mil. In its note to Bursa Malaysia accompanying its first-quarter results, Talam said it was still facing a huge challenge in the low- and medium-end property sectors. “Despite the uncertainty in the property development market, the group will endeavour to undertake all necessary measures to mitigate the adverse effects on the liquidity position of the group,” it said. The company, when contacted, declined to comment on its prospects. One property analyst believes that Talam should consider focusing fully on high-end developments. “Generally, low-medium-cost developments tend to reap low returns,” he said. Talam also said in its announcement (accompanying its first quarter ended April 30, 2011) to Bursa Malaysia that it was committed to completing the remaining development projects undertaken and expected to deliver most of the sold units to the purchasers by the second quarter of this financial year ending Jan 31, 2012. According to its 2010 annual report, Talam has a total balance land bank of approximately 5,047 acres, mainly in Selangor, comprising a mixed portfolio of commercial, residential and industrial properties at various strategic locations in Ampang, Sepang, Puchong, Bukit Jalil and Rawang. Its existing projects, namely Taman Puncak Jalil, Ukay Perdana, Lestari Puchong, Kinrara Section 3, Jalil Heights, Saujana Puchong, Danau Putra, Putra Perdana, Saujana Putra, Lestari Permai, Bukit Sentosa and Bandar Bukit Beruntung have a combined gross development value (GDV) in excess of RM10bil. It also has a project in the pipeline, namely its Berjuntai Bistari project, which is to be developed over 15 years and will comprise approximately 3,500 units of residential and commercial properties with an estimated GDV of RM350mil. In its announcement to Bursa recently following its first-quarter results, Talam said other than its current development projects, the group would go into joint-venture projects with reputable corporations. A property analyst said Talam could approach developers keen on strategic partnerships. “Collaborating in a project is one way to create better value by leveraging on each other's strengths and expertise. However, it is imperative if both parties shared the same goals and values,” she said. According to its annual report, Talam has four on-going joint-venture projects currently, but with its own units. The projects include the 252 units of terrace houses at Ukay Perdana, which is a venture undertaken by 50%-owned Good Debut Sdn Bhd. The development is part of the Ukay Perdana project in the vicinity of Bukit Antarabangsa and has a gross sales value estimate of RM96.55mil. Other joint ventures include the Serenia Garden residential development project undertaken by 50%-owned Sierra Ukay Sdn Bhd, which has a GDV of RM615mil; the Sierra Selayang residential project undertaken with 50%-owned Cekap Tropikal Sdn Bhd (which has a GDV of RM963.9mil) and the Yin Hai Complex project undertaken by Jilin Dingtai Enterprise Development Co Ltd, a wholly-owned subsidiary of Larut Leisure Enterprise Hong Kong Ltd, a 50%-owned associate of the Talam Group.